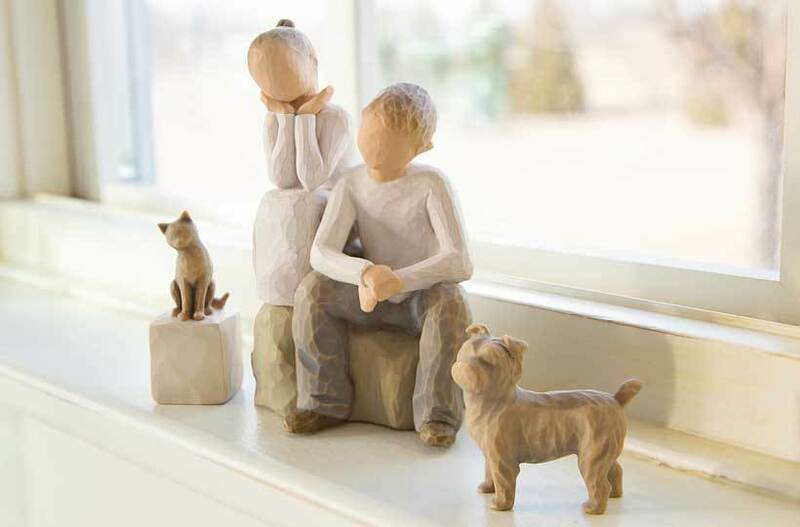 Artist Susan Lordi hand carves the original of each Willow Tree® piece from her studio in Kansas City, MO. This piece is made from Susan's original carving and design, and painted by hand. Susan Lordi's artistic process is rather intuitive; she "sketches" in clay as she conceives, sculpts and carves each piece, always with a focus on gesture that speaks to the universal. By stripping down the essence of emotion to pure form, she opens the interpretation of each piece to the giver and the receiver. This one-of-a-kind approach to product creation makes her pieces truly individual... her hand, and her unique perspective, is evident in each sculpture. Tag us on Instagram @WillowTreebySusanLordi for an opportunity to be featured.